Guerilla projections for the art of it, vj’s and visual artists often use bright projectors to digitally graffiti their work across major land marks. 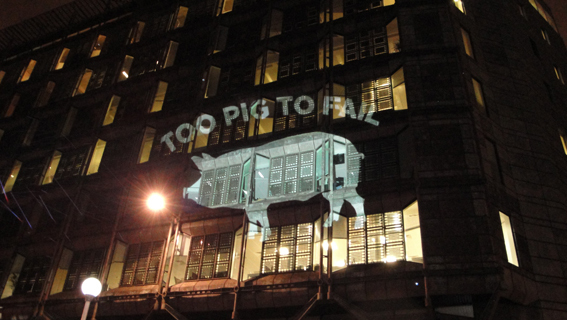 Guerrilla projection advertising is generally a digital sign that is projected at night onto the side of a building without permission. 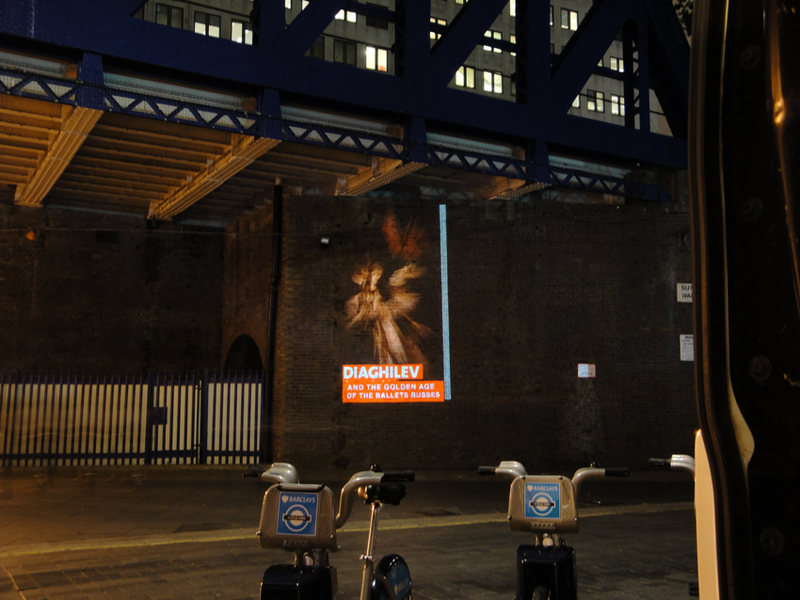 The images are projected on buildings in high footfall locations (i.e. people on foot and in cars). 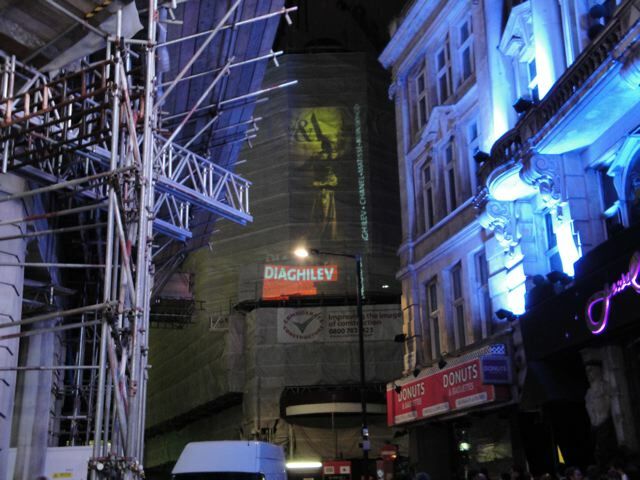 Guerrilla projection advertising is an effective add on to big campaigns, for example a product launch, the release of a film, retail promos etc. Guerilla projections for the royal ballet in London. Stealth is what it all about, quickly in and out. A projector is mounted in a van with a generator ready to display at any time. Stealth is what it all about, quickly in and out with a projector mounted in a van and a generator for power. Ready to display at any time.